Adding a pair of Warn's Rear Rubber Grab Handles to your 4-Door Wrangler JK gives your passengers something to help them get in or out of your Jeep. Made from premium material for strength and a rubber grip point these handles bolt into your sound pod fasteners giving you a place to hold on to while climbing hills or taking on rocky trails. 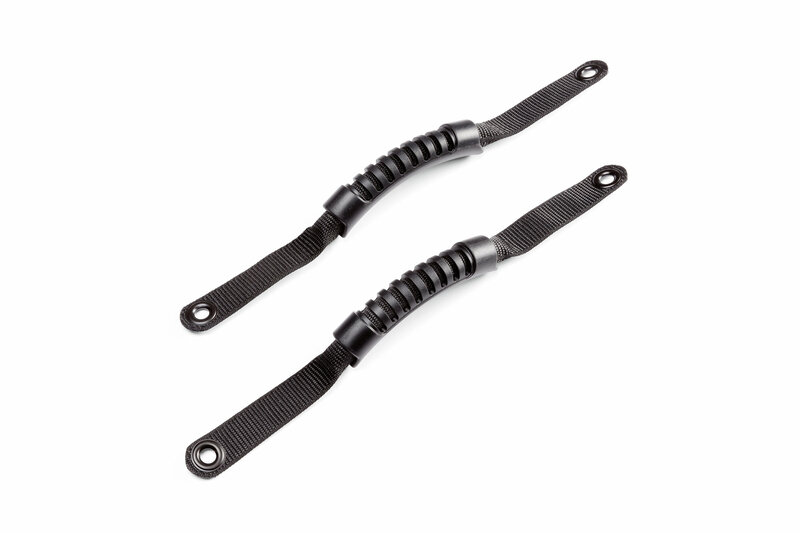 Quality: Made from premium material these rear grab handles have heavy duty nylon straps as well as rubber grips for strength and security while getting in or out of your Jeep as well as a hold on to point while on the trails. Installation: These grab handles bolt into your sound pod fasteners or can also be bolted onto your a-pillars giving you a second option for use.